By Wednesday evening, Northam was coming under intense heat for his comments and although he didn’t retract any of his comments, he tried to defend himself and refused to apologize or back away from his statement! The following day, Northam doubled down on his position on infanticide, drawing a major rebuke from Americans across the country. Meanwhile, Democrat after Democrat, when asked to comment on Northam’s infanticide comments, simply said they hadn’t heard or didn’t know about what he said and refused to comment, regardless of it being on tv, radio, internet, and in print across every news source in America! 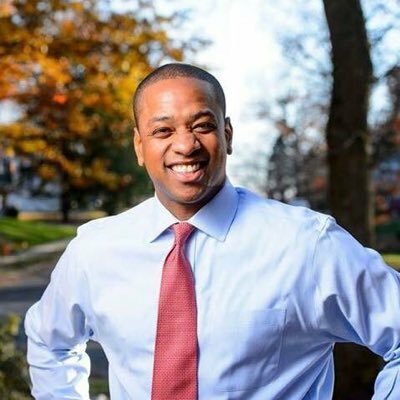 Virginia’s Lieutenant Governor Justin Fairfax came to his defense and asked people to quit attacking his character! Then, just as the Lt. 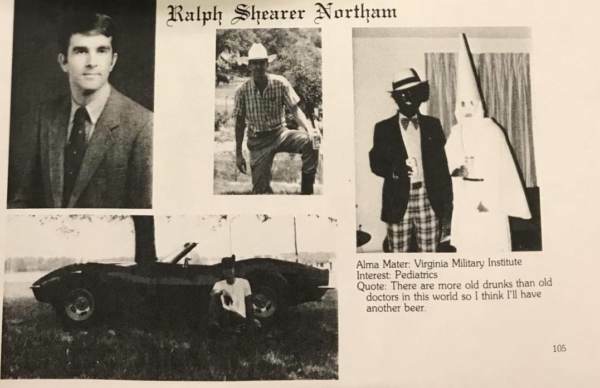 Governor released his statement in support of the Governor and infanticide, and before the smoke could even clear on the infanticide issue itself, a picture from Democrat Virginia Governor Ralph Northam’s medical school yearbook from 1984 surfaced. It showed two men, one in a KKK hood and robe and the other in ‘blackface’ on Northam yearbook page! The photo was published by Big League Politics and has now been confirmed by the Washington Post, and numerous other outlets now! They also found out that his alma mater, Eastern Virginia Medical School had allowed students to personally choose photos for their yearbook page, and Ralph Northam chose the picture of two men dressed as KKK, and the other a white man painted in blackface. By Friday night, he admitted that he was one of the men dressed up in the white hood or blackface, but he wouldn’t admit which one. Then, in less than 24 hours, Northam backtracked his comments, and although he admitted to being in the racist photo on Sunday, by Monday, he said that he wasn’t either one of the men in the photo, and said he was shocked and disturbed by the photo. Furthermore, he said it was the first time he had seen the photo! Then, although the Washington Post jumped to the Virginia governor’s defense and informed readers that the Democrat has a black pastor and is against Confederate statues, the scandal would only be joined in with yet another major scandal! On Sunday, Big League Politics broke yet another story that alleged that Virginia’s Lt. 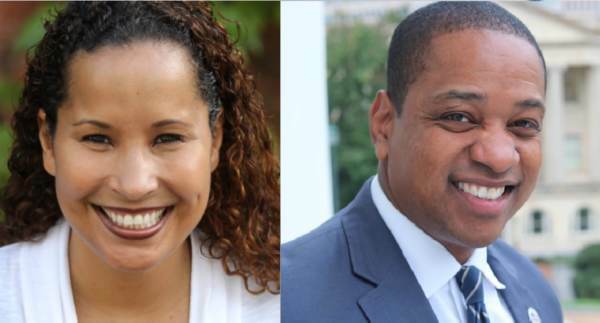 Governor Justin Fairfax had sexual assault allegations posed against him by Vanessa Tyson. Vanessa Tyson accused him of having sexually assaulted her at the DNC Convention in Boston, Massachusetts in 2004. Not only is this important for the sake of journalistic standards in America, but it is important, being it is highly likely that the current sitting Governor of Virginia Ralph Northam would have been likely to resign in the near future, amid his own KKK and blackface yearbook photo scandal and his promotion of infanticide last week! That means that Virginia’s Lt. Governor Justin Fairfax (D-VA) would take his place and ascend to the Governorship, while embroiled in his own sexual assault scandal! By Monday afternoon, the scandal had escalated to the boiling point, as Lt. Gov. Fairfax admitted to knowing about the allegations, and Fairfax’ staff admitted that the Washington Post SPIKED the story last year! In other words, the allegations were potentially credible, despite the Lieutenant Governor’s claim! Lt. 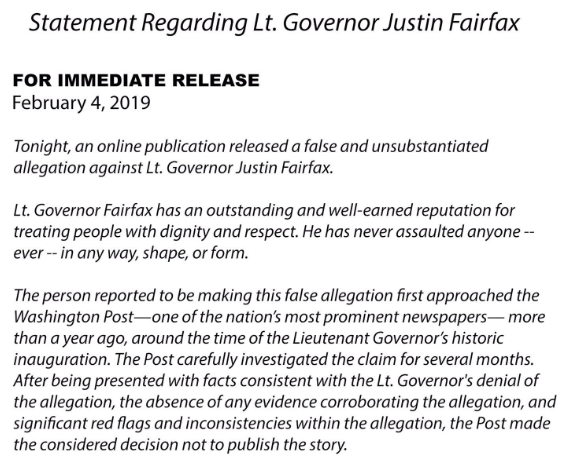 Governor Fairfax responded to the Washington Post, with the same threat as he did with Big League Politics who broke the story, saying he would bring legal action against both reporting agencies for “smearing an elected official”, despite his own major inconsistencies! Then, just as it seemed it couldn’t get any worse for the Lt. Governor, Justin Fairfax told reporters that he would not rule out the possibility that the now embattled Democratic Governor Ralph Northam could be secretly pushing the sexual assault allegation against Fairfax to prevent his ascension to the governorship, so Northam could keep his position, despite his major scandals! Asked about the statement by the political action committee, which has supported Fairfax in the past, Fairfax did not dispute that Northam’s team could be responsible. Therefore, the Lt. Governor accused the Governor of intentionally sabotaging his career to protect his own! Fairfax then went on to call for Northam to resign, which would elevate him to the Governor’s mansion, and give him the opportunity in 2021 to seek another term since he was not elected in 2017. After all, under Virginia law, governors can serve more than one term, but not consecutively. Therefore, his ascension would give him almost an entire term, plus one of his own, if elected! Regardless of the outcome, Virginia politics is in chaos, as Northam has openly endorsed infanticide, and admitted to and lied about his racist KKK yearbook photo. Meanwhile, Fairfax has been caught in lies, launching threats against those who dare question his actions, and issuing numerous inconsistencies within his statements! Top that off with the Virginia Congressional Democrats openly embracing abortion up to the moment of birth, and it paints a dark cloud over the State and those who are in charge of running its government! A cloud that could taint the upcoming election in 2020 for Virginia Democrats, as well as Democrats nationwide! Next Next post: WaPo DOUBLE STANDARD: Hid Sexual Assault Allegation Against Virginia’s Lt. Governor, But Publicized Allegations Against Bret Kavanaugh And Roy Moore During Investigation!